Beauty masks have officially made the transformation into a worldwide phenomenon. People de-stress after a busy day by tearing open a package that will soften their pout in a mere 10-20 minutes; unscrewing a bottle that will depuff their eyes almost instantaneously; or even using some of today’s innovative technology to eliminate blemishes. There are a variety of masks to choose from, whether they are made out of clay, charcoal, or are just a classic sheet that brightens your countenance and improves elasticity. I gathered my all-time favorite masks for you to check out (you're welcome) so that you can be glowing like a queen in no time. 1. 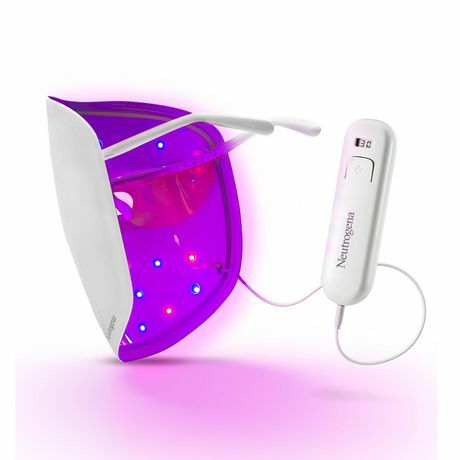 Neutrogena Light Therapy Acne Mask: This remote-controlled mask (free of chemicals and UV light) shines red and blue lights on your face in order to fight the bacteria and inflammation that causes acne. While you zone out for ten minutes, it works to clear breakouts and reduce redness of the skin. According to Neutrogena, 98% of test subjects showed fewer pimples and clogged pores after using it! Although you may feel like you're straight out of a Star Wars movie while wearing it, I promise it'll do the trick. 2. 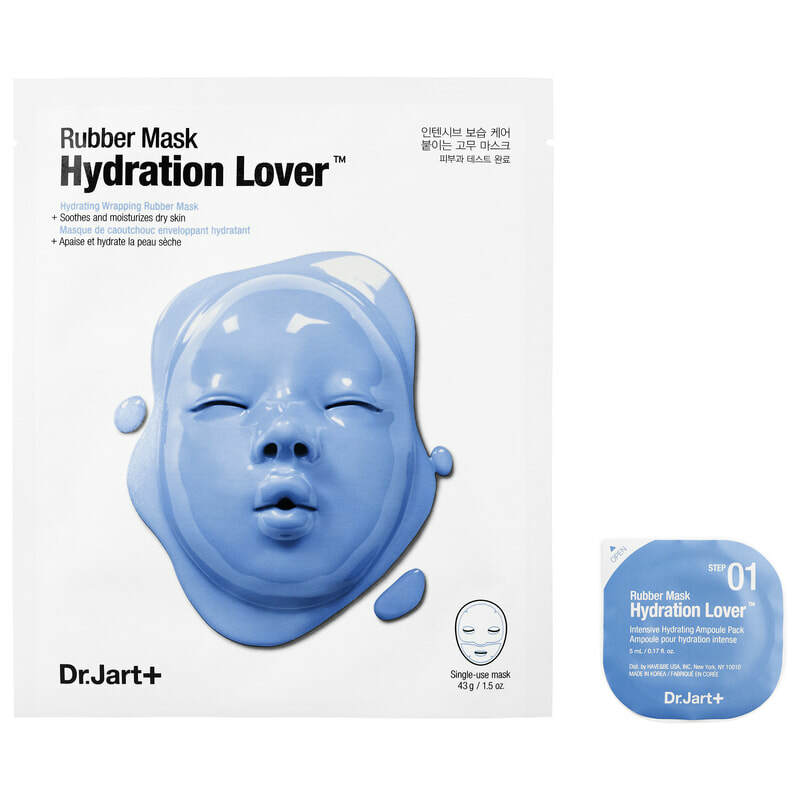 Dr. Jart Hydration Lover Rubber Mask: Wait...rubber?! It’s true. But before applying it, the two-step mask comes with a highly concentrated ampoule serum to hydrate your skin. Once you apply the rubber mask, it wraps around your face to prevent active ingredients from evaporating, allowing for complete penetration that improves fine lines and eliminates clogged pores. 3. 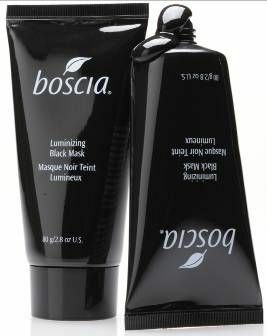 Boscia Luminizing Black Charcoal Mask: For those of you who struggle from dull or uneven-textured skin, this mask is a game changer. It’s filled with numerous minerals and is infused with activated charcoal, a material known to help eliminate pores. 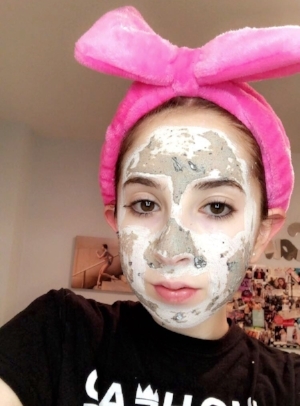 What makes it unique is that it turns from liquid to solid within 25 minutes, so you can literally peel off the mask to reveal new, brightened, and detoxified skin. 4. Glam Glow #GlitterMask GravityMud Firming Treatment: Skin care just got ten times more exciting. 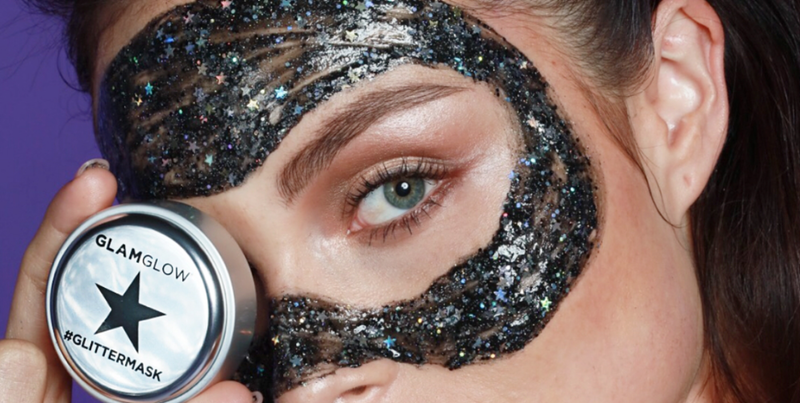 This holographic, glitter mask not only makes for iconic selfies, but it contains ingredients such as TEAOXI® Complex of Licorice and Marshmallow Leaf that help make your skin look tighter and more defined. 5. 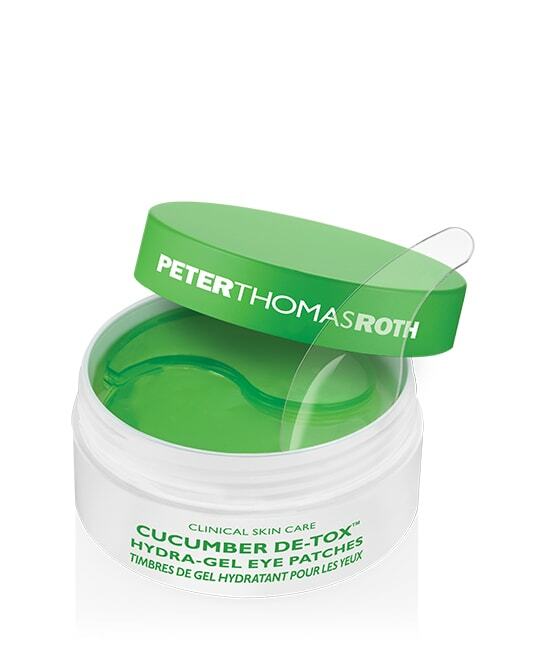 Peter Thomas Roth Cucumber De-Tox Hydra-Gel Eye Patches: These gel patches are a true savior for tired eyes. They soothe the eye contour area with cucumber extract, aloe, chamomile, and more hydrating ingredients in order to leave the skin brighter and energized. Do you have dark circles? The patches combat that issue too with the caffeine and arnica infused in them! Store them in the fridge for an extra cool boost in the under-eye area. 6. 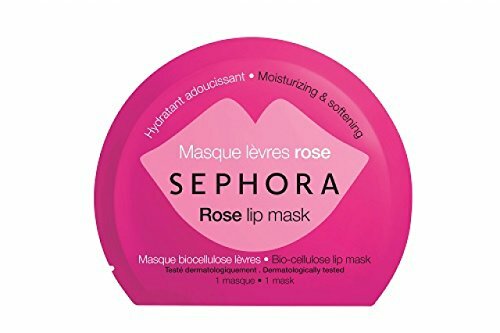 Sephora Collection Lip Mask: Whether you buy the rose or the shea infused one, you will get maximum benefits in 15 minutes that help moisturize and plump your lips. 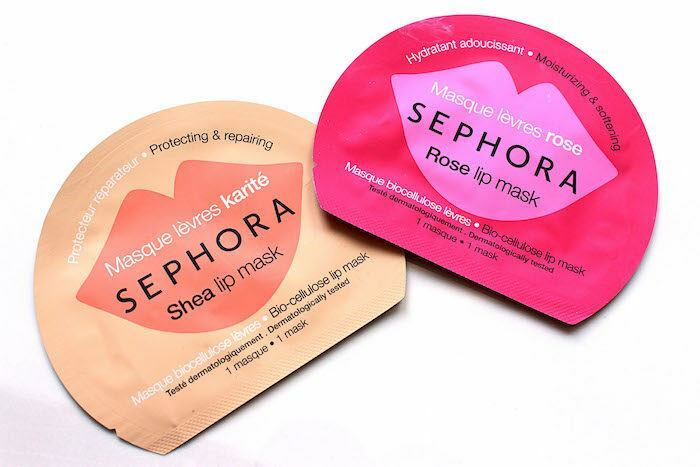 The rose lip mask is targeted more towards giving softening effects, while the shea lip mask focuses on improving a chapped pout. 7. Dr. Brandt Skincare Oxygen Facial Flash Recovery Mask: Although this mask only takes only three minutes to activate, that doesn’t mean your skin isn’t getting ultimate hydration. The oxygen spheres sink into your skin to brighten it, re-energize it, and reduce the appearance of fine lines. Another thing to consider: the formula contains peptide from moringa seeds that not only purify your skin but protect it against environmental pollution! 8. 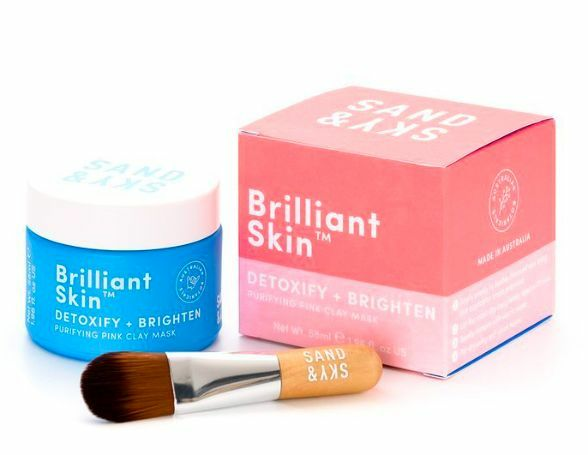 Sand & Sky Brilliant Skin Purifying Pink Clay Mask: Clay is key. Sand & Sky’s mask formula contains Pink Australian Clay, which draws toxins, pollutants, and impurities out of your skin. The mask also has organic licorice extract in it, which stimulates cell production to fade pigmentation. It even contains a mini brush to apply the mask with so it doesn’t get all over your fingers! 9. Karuna Age-Defying+ Hand Mask: Do you tend to have dry hands? This hand mask--which contains a creamy oil-serum that leaves your hands feeling ultra-moisturized--is the perfect solution. You can even wear it overnight for more beneficial effects! If you’d rather keep your hands free overnight, you can also cut the fingertips off the gloves and put them on while your manicure dries for the perfect before-bed soothing treatment. 10. Boscia Baby Soft Foot Peel: Trust me, these booties--which contain alpha hydroxy acids and fruit extracts--will leave your feet feeling as soft as a bunny. The one-time use foot mask removes dead skin cells in all areas of your feet through natural exfoliation. In four to five days after wearing the booties, you‘ll actually see the dead skin cells start to peel! A soothing mask on tired feet for 60 to 90 minutes? And it leaves your feet feeling less sand-papery in about a week? Sounds like a great plan to me. Click on the names of the products throughout this article to be directed to a website to buy them.